As most of you know, there have been rumors swirling that there could be as many as five companies working on Nexus smartphones for later in the year. Given that the last two have belonged to Samsung, we’ve been wondering who might be involved this time around. Of course there are the bigger players like HTC, Motorola, Sony, and LG who could step in with a Pure Nexus device. On the other hand, we’ve seen increasing noise out of other outfits such as Huawei, Pantech, ZTE, and ASUS. The landscape is constantly shifting and evolving and today’s second-tier players could soon wedge their way into the upper echelon. With so much choice in the Android space, chances are good that you might be considering multiple brands for your next smartphone. With all of this in mind, we’re curious to see how loyal you are to the company that made the phone in your pocket or purse. Are you going to buy another one from said handset maker or have you had enough? Would you consider another brand for your next Android? Oh yes. I was a motorola fan then went to LG because of antenna issues. I always sounded like I was in a tin can with Motorola. But I’m looking at the new Samsung Galaxy SIII which I will get to try out in France this summer just to see if it’s something I want to buy when I get back to the states. I know there will be differences because of country, but I’m excited to see what it looks like. – Louis C.
Hell yeah,I hate this htc wildfire that I got for bday in Sept !!! – Julie N.
Yeah. I like my EVO 4G, but I would also like a Samsung Note because of the larger screen. – Doug F.
I could definitely be swayed. I have a Motorola R2D2 droid and I’m on my 4th replacement. I’m thinking of getting a Samsung next. I love my Samsung tablet. – Angie B. Using my Atrix for about a year, and yet not going to change it. – Roman B.
I’ll use anything Android based. My loyalty is with Android. – Jorge G.
I hate my droid x2, will never buy another motorola product. – Sue S.
My loyalty is first with Android, second to Samsung, I have yet to have a serious issue with any samsung device, little things are found in every make and model, and I find samsungs tend to have the least troubles compared to other brands, but thats my personal opinion. – Jimmy B. Depends really, I’ve been loyal to HTC since day one. Hoping by November to see one released for Sprint from HTC. – Irvin Z. Would you consider another handset maker for your next phone or are you married to that brand? 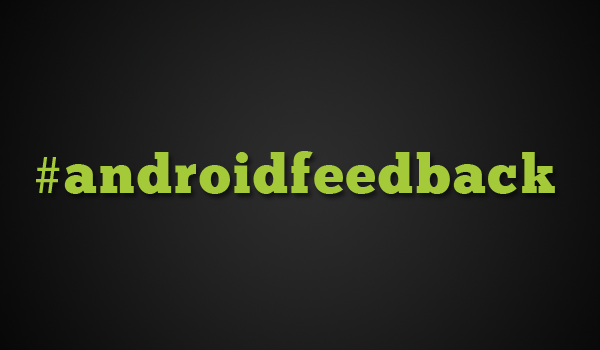 Tell us your Android story.